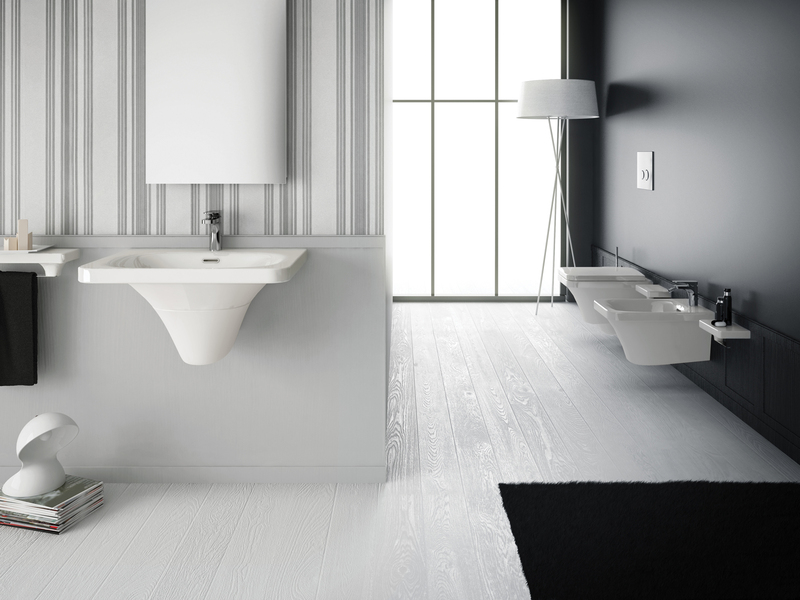 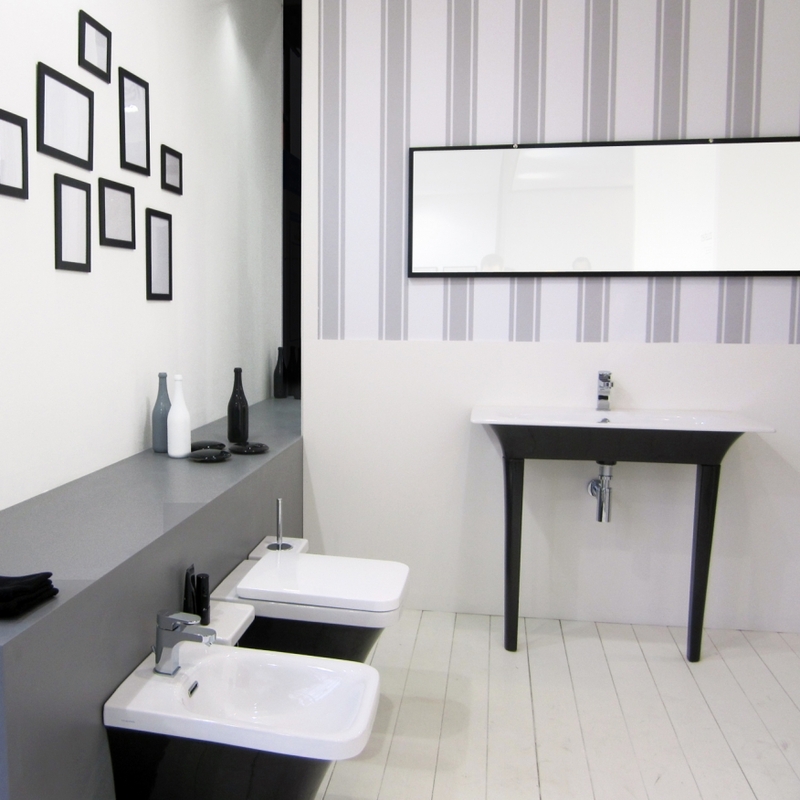 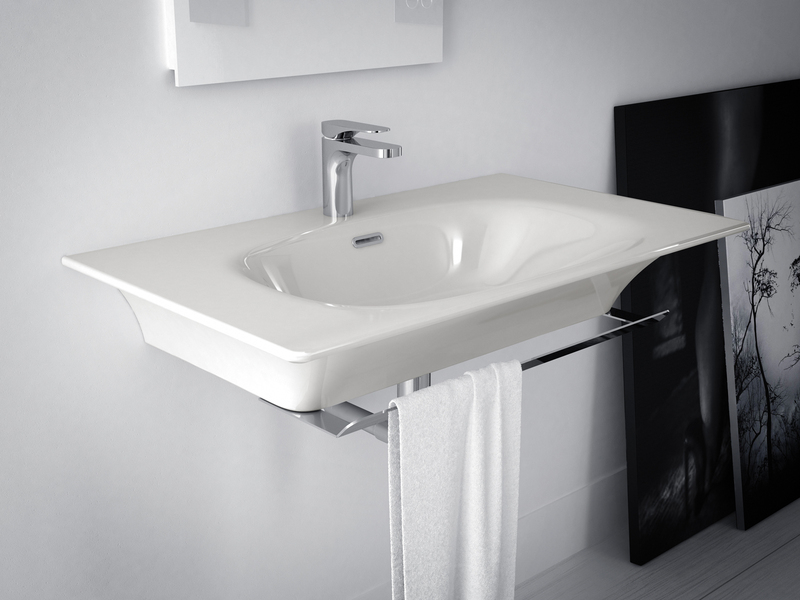 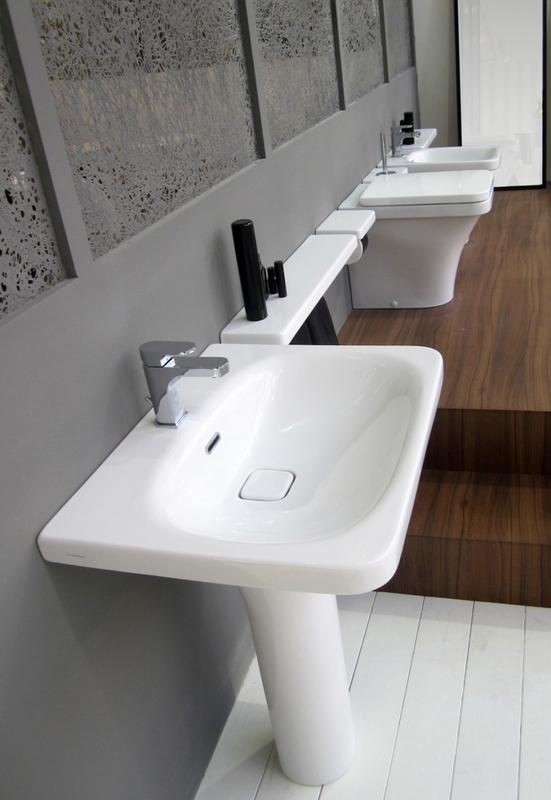 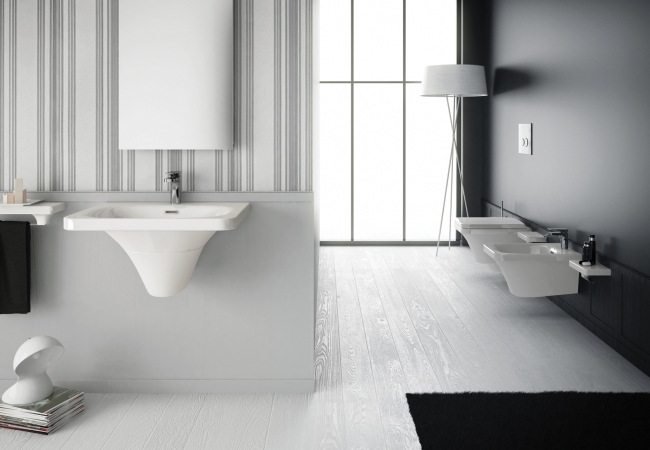 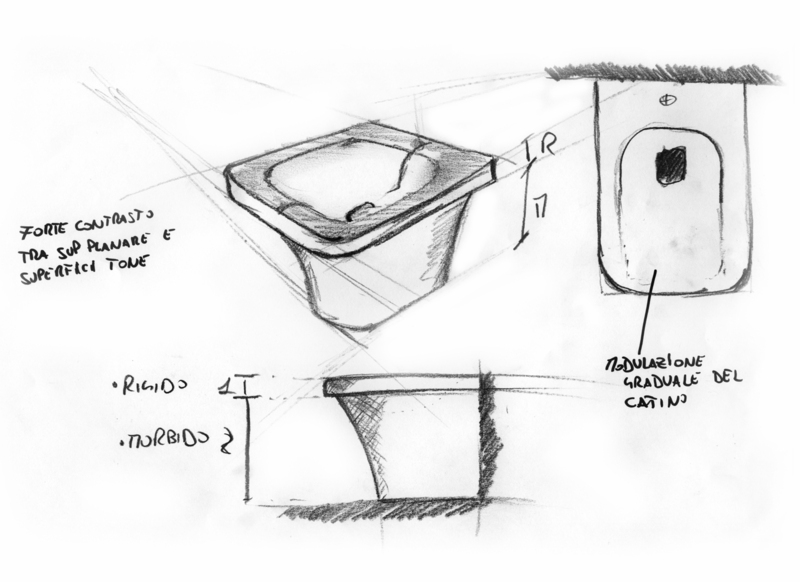 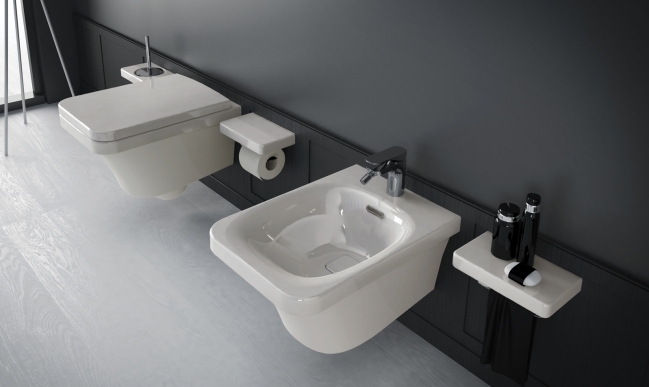 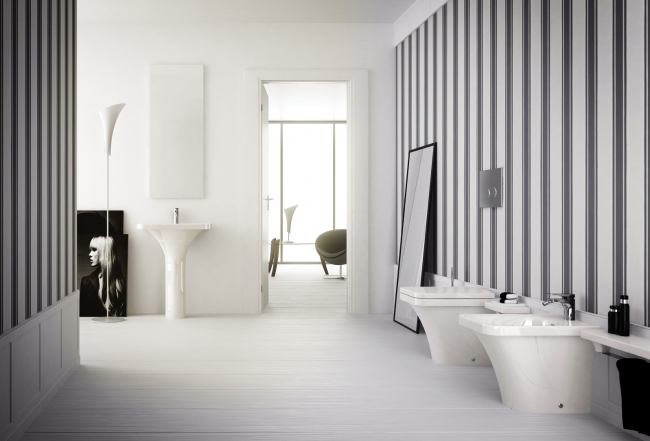 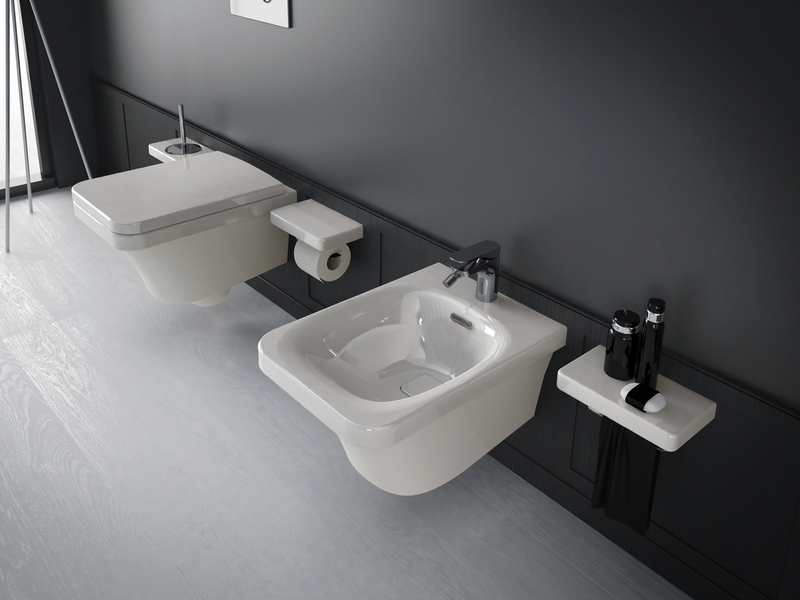 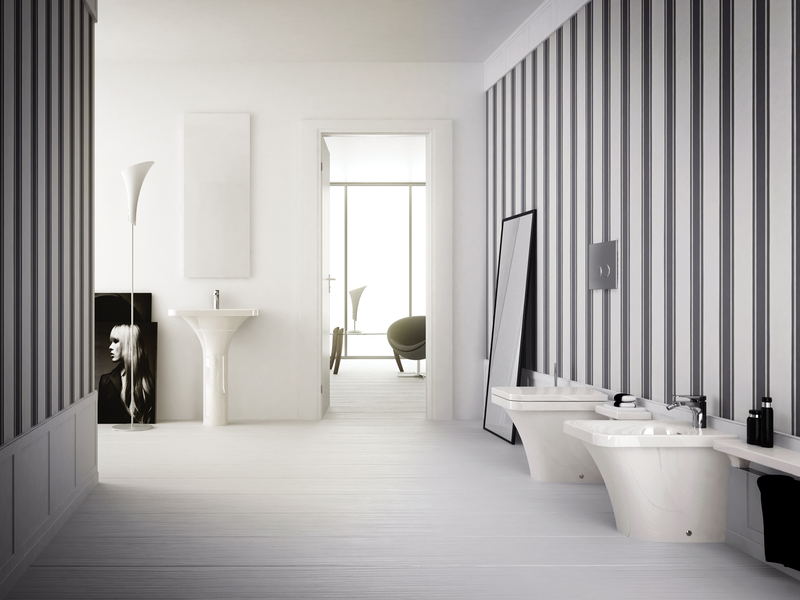 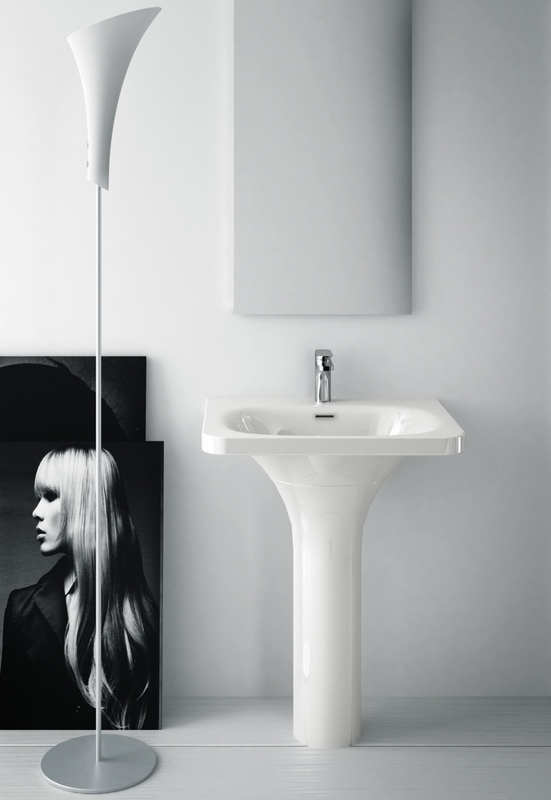 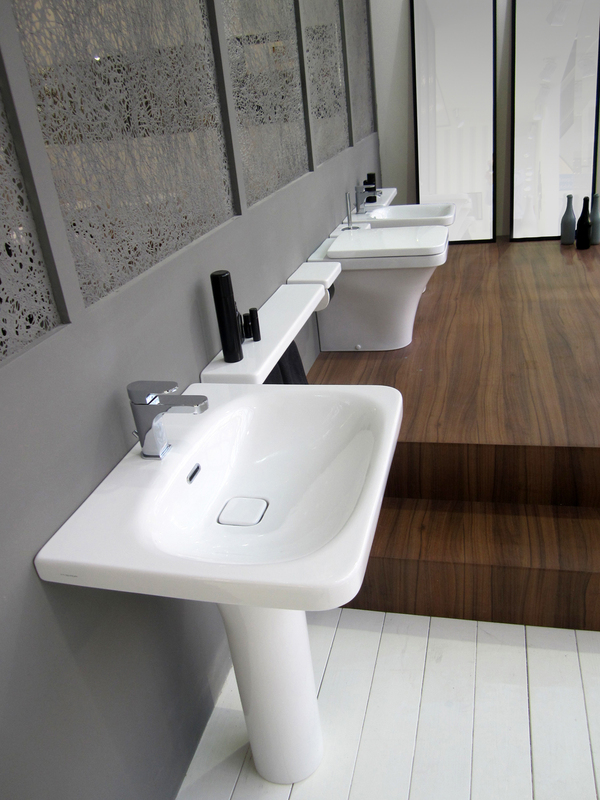 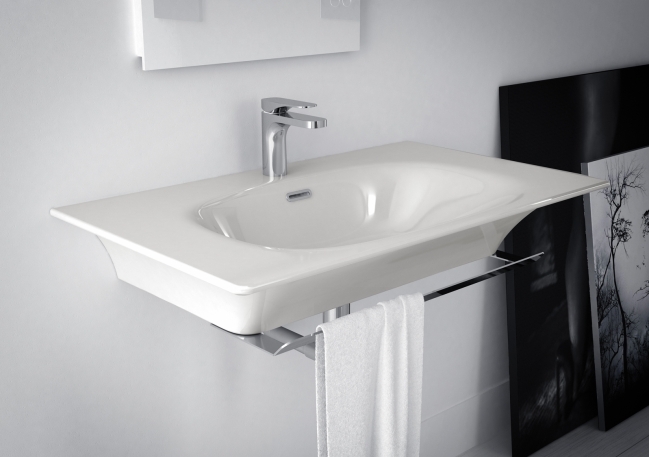 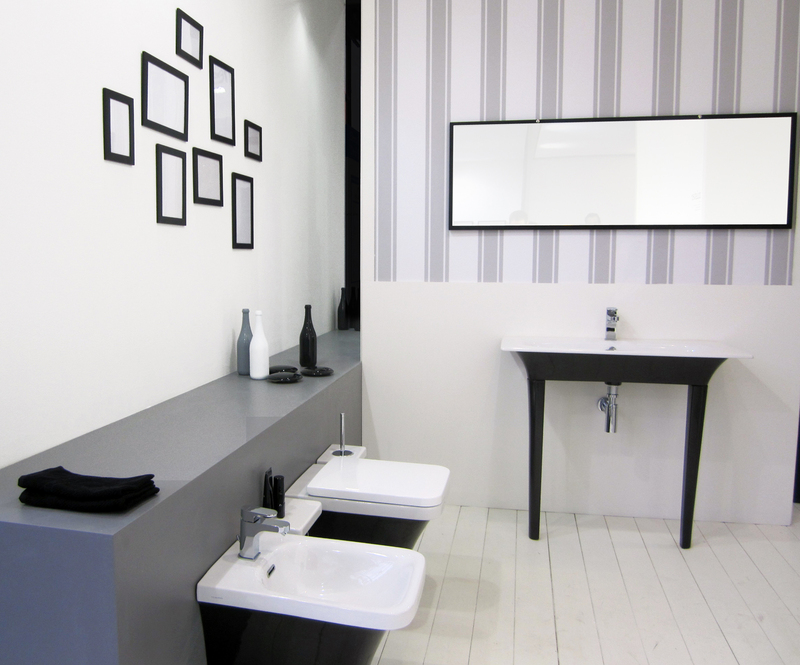 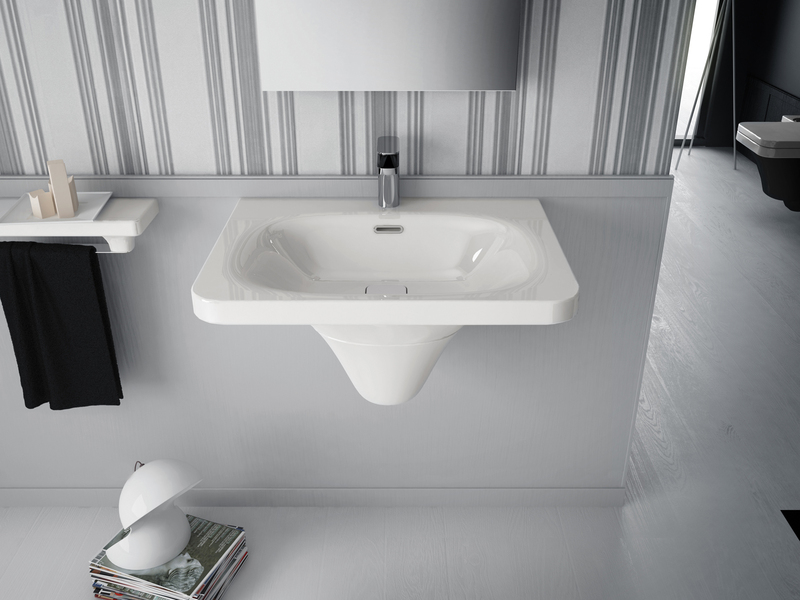 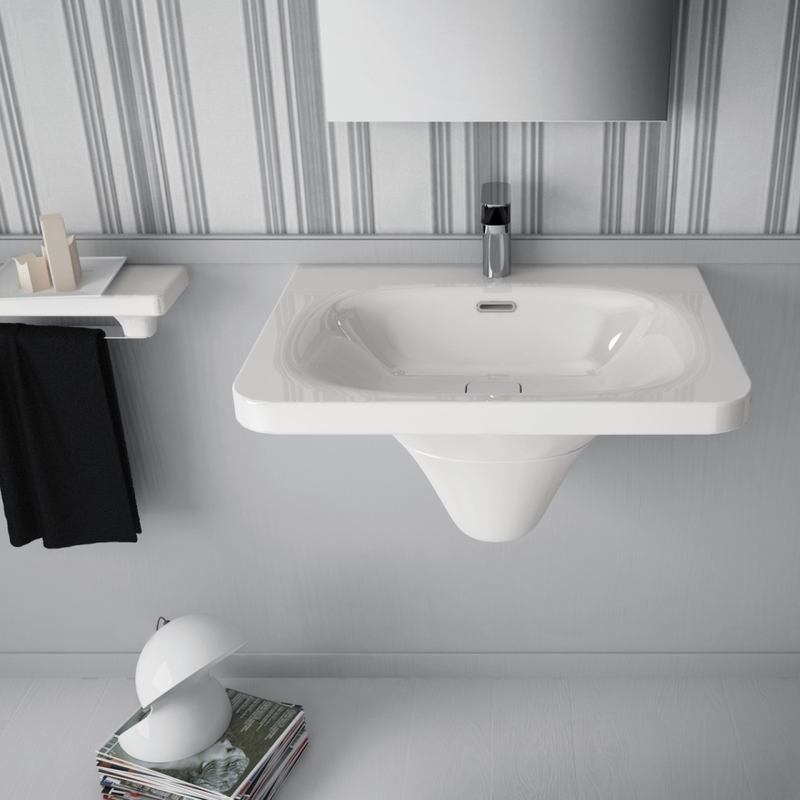 A collection of ceramic bathroom fixtures which is both classic and modern at the same time: Flat is a new series characterised by a surface (4.5 centimetres thick) on which the basin is delicately modelled. 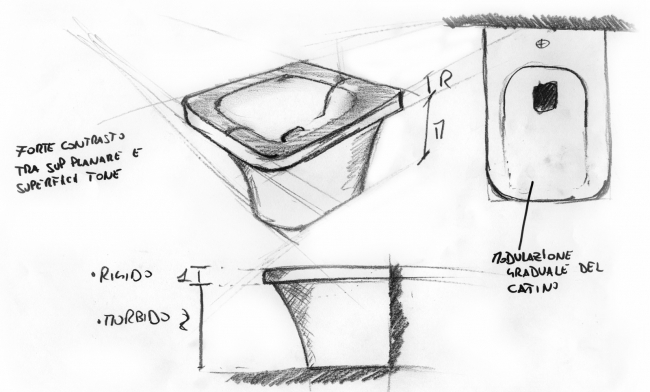 A very obvious edge divides the piece in two: the upper part with the basin, and the lower part, a base or a column which gradually thins out towards the ground. 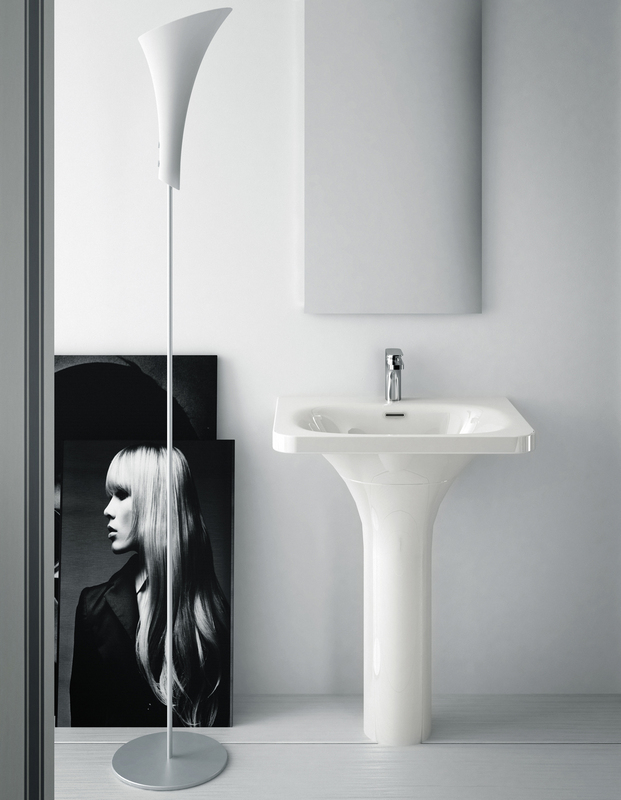 A sort of fluid depression, like an elastic membrane to which a force is applied, pressing it downwards.